Back for another engaging concert at TCFA, Del Rey will play guitar and ukulele and sing songs from blues to nostalgia to jazz, all informed with a “fresh and thoughtful”* sensibility, on Saturday evening, July 9, 8pm. Her instrumental abilities are highly impressive, and they’re backed up by the charm of her personality and the warmth of her performance. 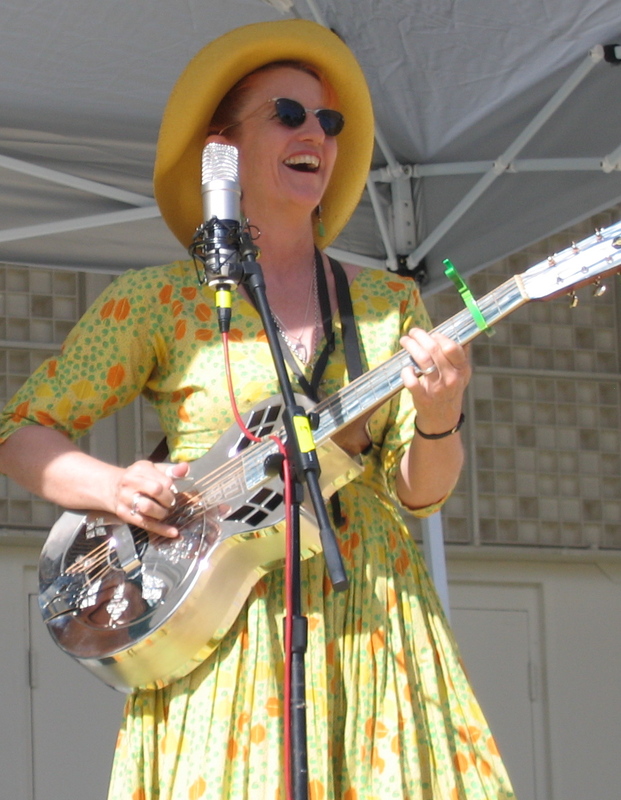 Del has played worldwide, and she also offered classes and participated in the informal jams, as well as performing in the faculty concert, at both of the Roots & Blues Guitar Workshops held at TCFA few years ago. It’s a pleasure to welcome her back. Tickets, $12, are available in advance thru Eventbrite.